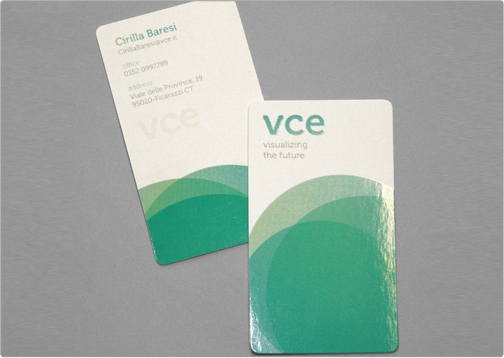 The VCE silk business card is clean, professional, and classy. 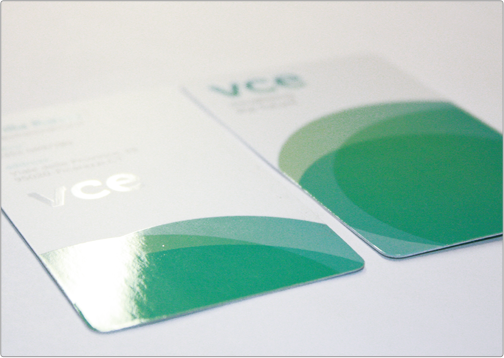 The card includes spot gloss and stylish rounded corners for a unique and custom design. Specs: standard cut 16pt silk bc/ spot gloss 2 sides/ 3mm rounded corners.